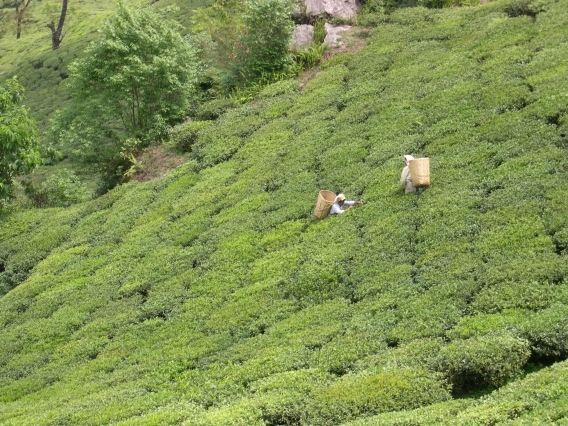 Lopchu tea garden was established in early 1860s. The word ‘Lopchu’ is derived from the local dialect “Lepcha” which was prevalent at the time of establishing the tea estate. Lopchu Tea Estate is located midway between town of Darjeeling and Kalimpong, on the low lying hilly slopes of north eastern Darjeeling division, close to the state Sikkim. The nearest Darjeeling Tea Garden is Glenburn Tea Estate separated by hills towards the north-west and Tukdah Tea Estate towards the west while the eastern side is joined by the Peshok Tea Estate. The altitude of this tea estate is approximately 4800 feet above the sea level. With an area of 226 acres, this tea estate annually produces fine Darjeeling teas from china cultivar to the tune of a hundred thousand kilograms. Lopchu Tea Garden was owned by the British till the late 1954s. It was then bought by two jute traders and cousins by relation, viz., S.N. Kanoria and G.L. Kanoria. The management was soon passed onto the next generation Purushottam Kanoria and C.K. kanoria. It is presently managed by Rajesh Kanoria and Sandeep Kanoria, a third generation of the Kanoria family to manage the tea business. Lopchu Tea Estate is known globally for its black Darjeeling teas which is full bodied with a unique malt like musk flavour with hints of smoke like taste. Lover and fans of Darjeeling teas of Lopchu, swear by its addictive taste which are often enjoyed with sweetened milk. Its well imagined why generations after generations still enjoy this unique Darjeeling tea from the hills of Lopchu Tea garden. Lopchu teas are popular globally with main markets being US, Europe and Japan. 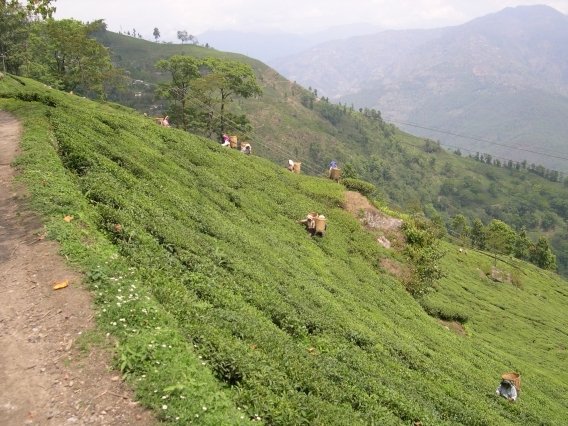 Apart from high quality teas, Lopchu tea garden is known as a favourite destination for the tourists.